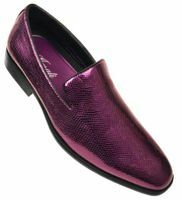 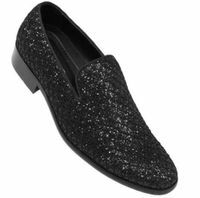 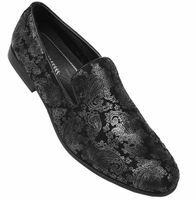 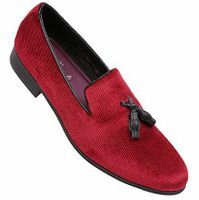 Mens velvet loafers also known as smoking slippers are a formal style party loafer for men that have come back big time like never before and are perfect for smoking jackets for wearing to the Prom or on the Red Carpet or even the right type of party. 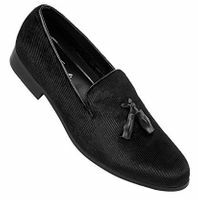 It never fails that when the right Celebrity is seen wearing a pair of of these designer mens velvet loafers of a certain style that you will them pumped out by all of the shoe designers. 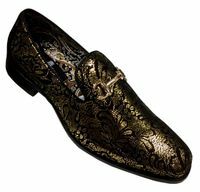 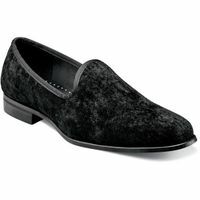 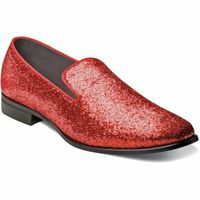 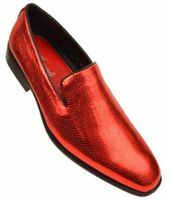 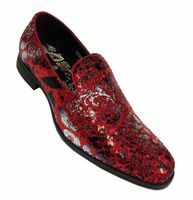 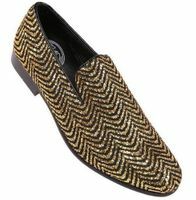 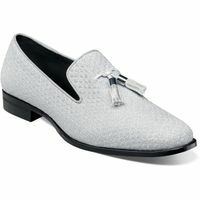 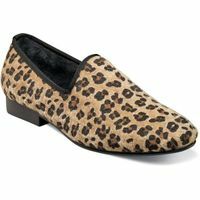 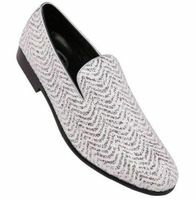 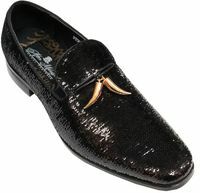 These designer formal style mens velvet loafers and slippers are essentially designer slip on style velvet loafers or slippers that men traditionally wore back in the 1950s heydays when you would see well dress men entertaining guests wearing a velvet smoking jacket or fancy style Mens Blazers and the matching formal style velvet slip on loafers. Primarily these designer smoking jacket style velvet slip on loafers were usually made of velvet and may have had either an embroidered design on top that if you were of means, may have been a fancy pattern that was your initials on the top of these velvet loafers. 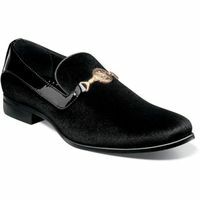 If you also like Stacy Adams Shoes, you can find them as well. 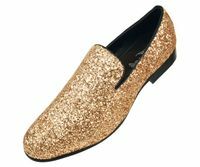 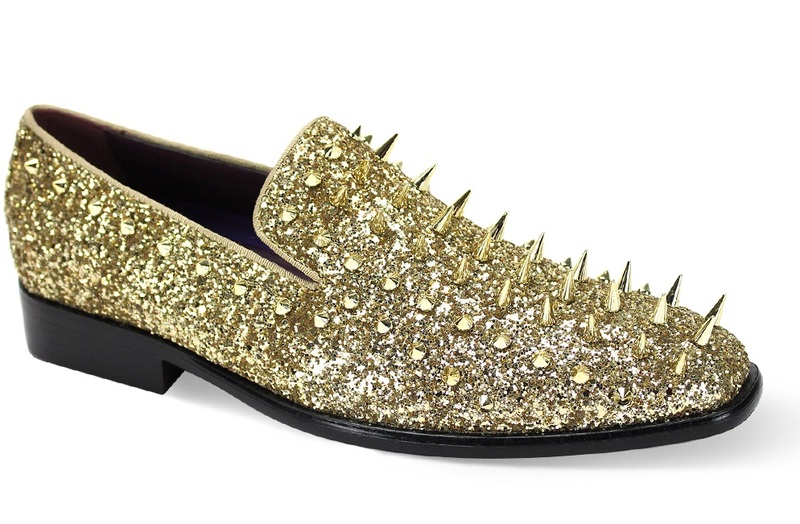 These are the perfect Prom Shoe this season hands down. 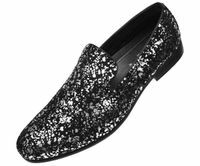 Get to that special party and look your best. 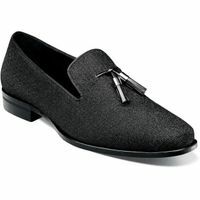 Now that formal style smoking loafers have made a comeback just like Stacy Adams Shoes and these smoking jacket style shoes have been made in all sorts of fabrics and finishes primarily to wear with mens dinner jackets, velvet blazers and fancy pattern blazers as well for a welcome modern twist on a retro hey day style from the 1950s. 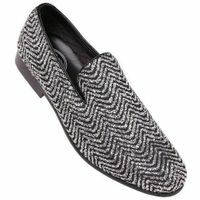 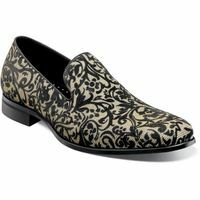 Now that you know velvet loafer shoes and smoker loafers are in vogue, don't be surprised if you see them in fancy printed foil pattern uppers that are designed to match the latest style fashion blazers and dinner jackets that are now in style for men. 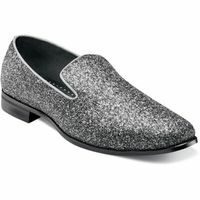 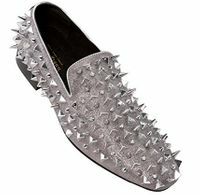 All the Prom goers are wearing these shoes as well. 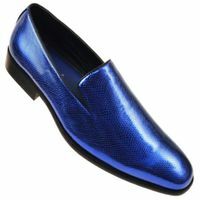 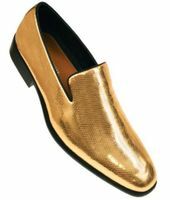 These fancy style slip on smoking shoes also resemble Matador shoes that you see the brave Matadors wear with their garish Matador costumes fighting against those big huge bulls. 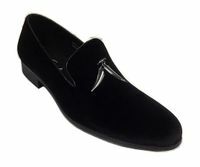 All in all, these velvet shoes are exactly what you need to wear on your feet with your velvet jacket.